Download DA Form 12-99-R, also known as the ‘Initial Distribution Requirements for Publications’, is generally used by company commanders and others in command for the purpose of initiating the requisition of various publications. 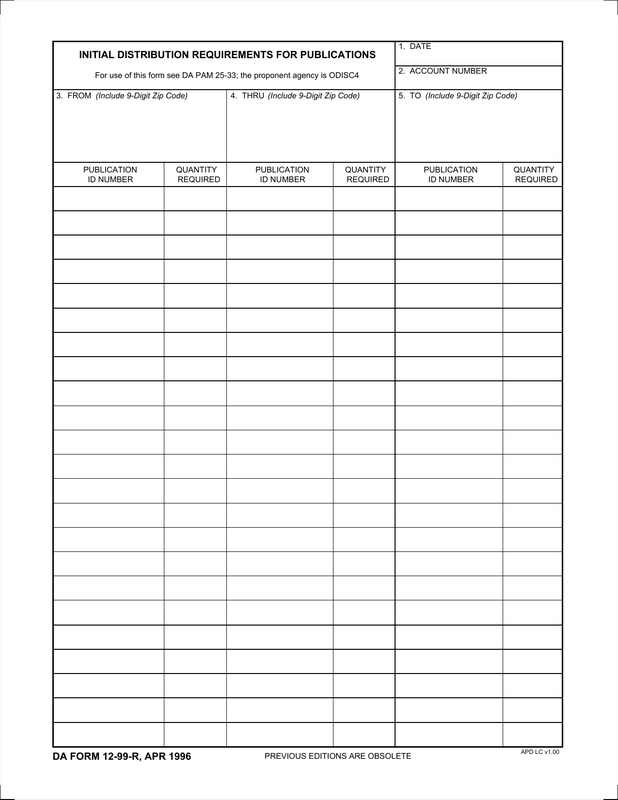 This is an updated version of this form that has been designed to simplify the publication ordering process. In the “From” block, include the commander’s name and address. Be certain to include the 9-Digit Zip Code. In the “Thru” block, fill in the name and address of the control office from where the order for publications will be filled and shipped. Be certain to include the 9-Digit Zip Code. In the “To” block, fill in the name of the location and address of the destination for which the publications will be delivered. Be certain to include the 9-Digit Zip Code. In the columns below the required shipping information, fill in the publication identification number also known as the IDN of the publication(s) being requested. In the column to the right of the IDN request, fill in the quantity of publications being requested, respectively. 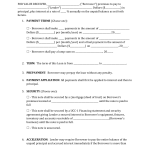 Once you have included all of the requested publications and quantity requests, you will have completed DA Form 12-99-R. 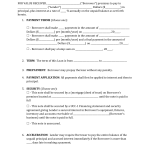 If the form has been completed online, print the form and send.